This glove replaces the TG122 Agile TraffiGlove. 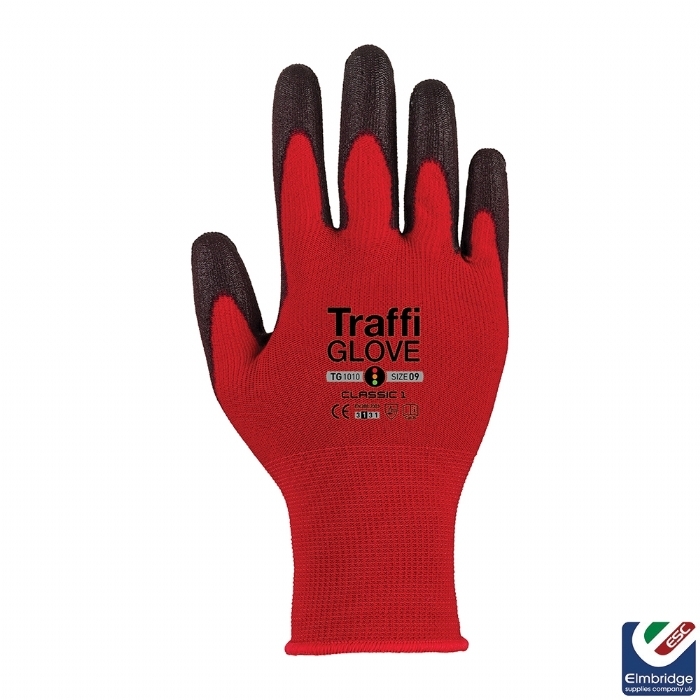 A lightweight glove with a generous cuff length for use in dry conditions. The close fitting design ensures hands can move freely, making it an ideal choice for most general handling tasks. 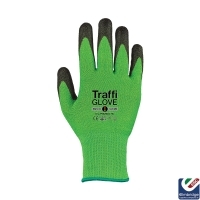 The TraffiSafe 3 colour coding system is an easy way to ensure your workforce is wearing an appropriate level of protection for the task, according to the glove's performance on the EN 388 test for cut resistance. RED: Cut Level 1, Lower cut protection - Suitable for lower cut risk tasks only, such as general product handling, warehouse and assembly line work and some low risk construction jobs. They are a good choice for visitors on site, to comply with safety regulations. AMBER: Cut Level 3, Medium cut protection - Ideal for second fix construction, mechanical and electrical trades, steel fixing and handling materials with sharp edges. The gloves is this range are finished with a variety of coatings. GREEN: Cut Level 5, Higher cut protection - The best choice for higher cut risk tasks like applying cladding, demolition, steel fabrication and handling glass or sheet metal with cut edges. They also provide the highest protection necessary when dealing with unknown risks, such as in waste and recycling industries. By incorporating new and proven technologies, TraffiGlove ensures users have the best possible protection at the best value. 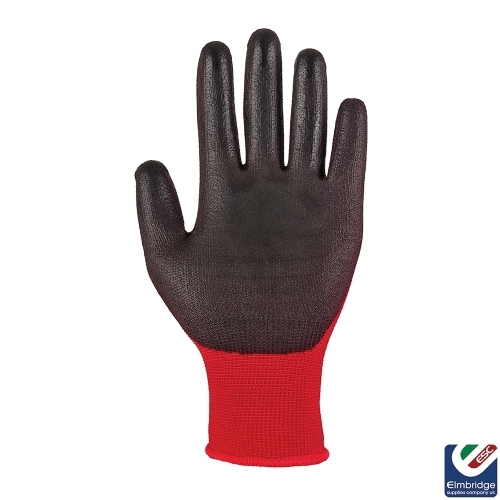 X- Dura: Advanced coating technology that provides outstanding durability so gloves last even longer. X-Dura technology features in PU, Nitrile, Foam and Latex coatings.